Some community-based churches really reach out to the community and the community reaches out to the church. Such is the case for Athens Church. The administrators of the church saw a need for a daycare/preschool program and rolled up their sleeves and did something about it. As shown on this plan, 16 separate rooms were created at the church for use as a large preschool/daycare program. 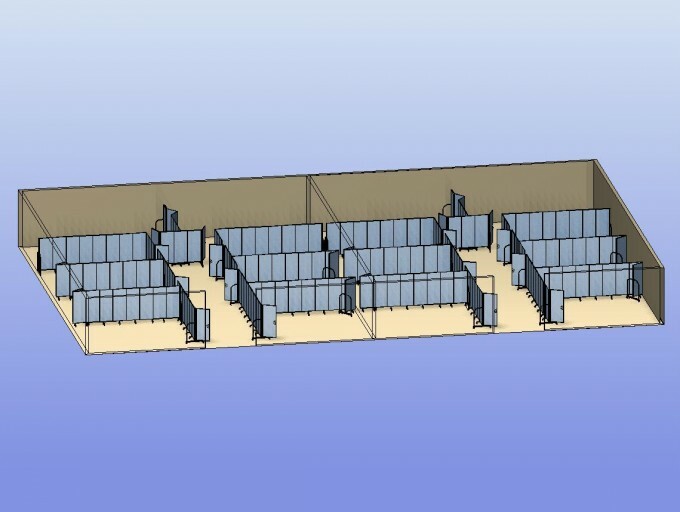 A total of 24 versatile accordion folding walls and 16 doors are used in this plan. Note that the height of the portable folding walls is only 5’0″ high. This is VERY high if you are a preschooler. However, the teachers and assistant teachers can easily see over the accordion dividers to help keep an eye on the adjoining room as needed.